East Cambridge Business Association - BOOMTOWN! 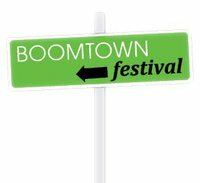 The full BOOMTOWN schedule has been released and its a great line up of fun activities and performances for the whole family. Whether you are crafting an artsy hat to shade you from the summer sun, or soothing your soul with the music of Bob Marley, BOOMTOWN is fun for the whole family. For two weeks in July the Centanni Court Yard (btwn Second and Third) is taken over by the Multicultural Arts Center and turned into a showcase for local artists and performers.